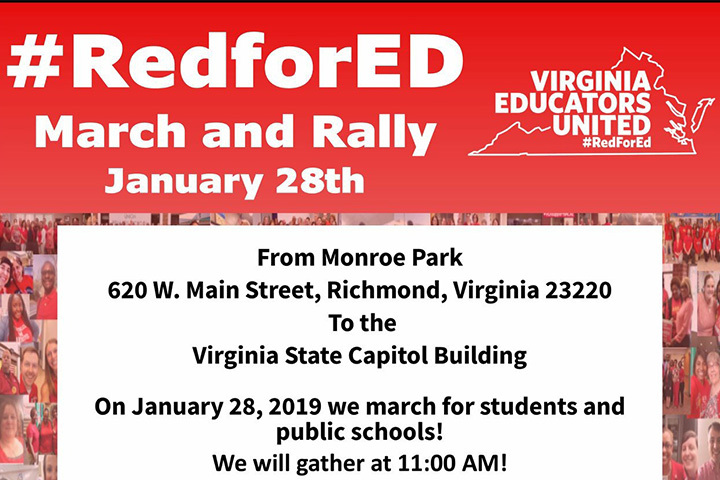 Join STAY RVA at the #RedforED March and Rally with Virginia Educators United on January 28, 2019 at 11:00am. 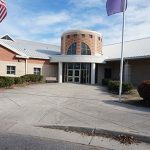 Meet at Monroe Park at 620 West Main Street. 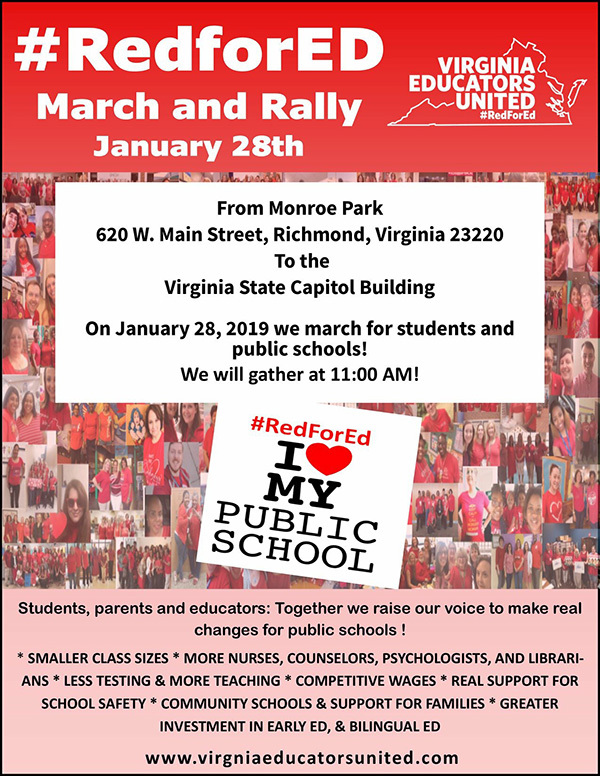 For more information, visit the Virginia Educators United website.